Did you know that for every liter of sweat you lose is an average of 2.7 to 3 g of mineral salts, most of which are mostly sodium and potassium. But with the loss of sweat, the magnesium is also lost and its lack can cause cramps. The reason for this is because magnesium is involved in the transmission of nerve impulses. 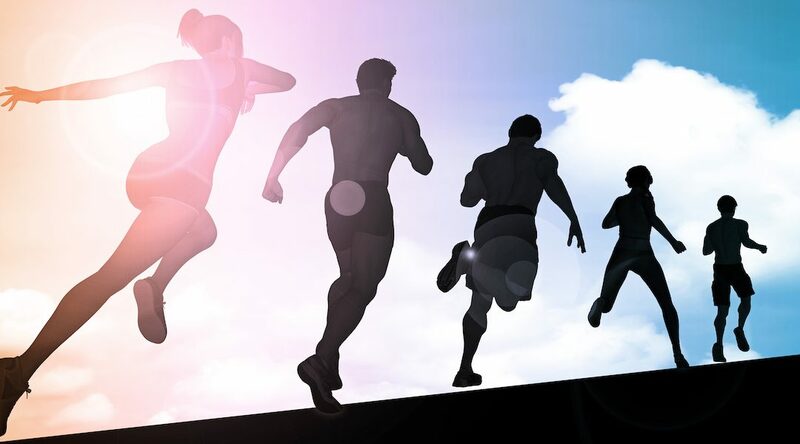 When performing prolonged exercise as for instance in the half-marathon runners, it has been found when analysis has been performed, very low levels of magnesium. Another mineral is Chromium whose function is to regulate the amount of glucose stored in tissues and participate in the metabolism of the hydrocarbons. Therefore your contribution is also necessary and important when performing high performance sports. The minerals are obtained mainly through fruits and vegetables, and if they ecological the better, they contain more minerals, they take the minerals from the subsoil in inorganic form and convert them into organic form, so they can be absorbed by us. . It maintains the internal PH in equilibrium at 7.3 ph. and as well as the blood pressure. We must remember that not only comes a physical decline (a sign of lack of minerals) to make a great effort doing sport. Being simply on the beach sunbathing the mineral expense can be very high, hence, fatigue in humid and hot areas. The solution is very simple: you just have to take pure sea salt or from the Himalayas or better yet a marine coral powder with a good glass of water. Is a key mineral in the process of muscle contraction and relaxation. This mineral is present in all muscles and connective tissues. It is also combined with magnesium and potassium for a good circulatory system. It acts as a chemical transmitter in nerve impulses. You can find it: in the vegetable world it is in large quantity in vegetables and nuts. Its excess in the organism generates the rise of the pressure in the arteries (hypertension). It also creates fluid retention. However, the lack of sodium leads to vomiting, nausea, cramps, headache and visual discomfort. It is essential when making a correct distribution of water in the body. You can find it: this mineral is present in “food city” with junk food or garbage. Its deficiency causes fatigue, weakness and muscle pain. Also are transmitting cells of nerve impulses. When performing intense exercise, at the point of maximum sweating, the aforementioned imbalances can occur. Water regulator in the body and heart contractions. You can get them from vegetables like broccoli and fruits like banana or avocado. You can find high quantities of phosphorus in the bones. It is a essential member in the cells’ membranes and nervous tissues. Blood is always related to calcium. Present for consumption in nuts, soy, egg yolk … etc. Important component in the bone structure. Necessary for the absorption of calcium. It relaxes the nervous system and acts on the functioning of the heart and muscles to relax them (calcium contracts it). You can find: in almonds, nuts, cereals, bananas, legumes … etc. Transport of oxygen from the lungs to red blood cells for delivery to muscles and organs. It is found in Vitamin B.
Insulin formation Very important at the time of exercising. It acts on the metabolism of proteins. Source of zinc: eggs and in the beer bran.